Indulge the senses as you move through the basics of this ancient feminine dance form. 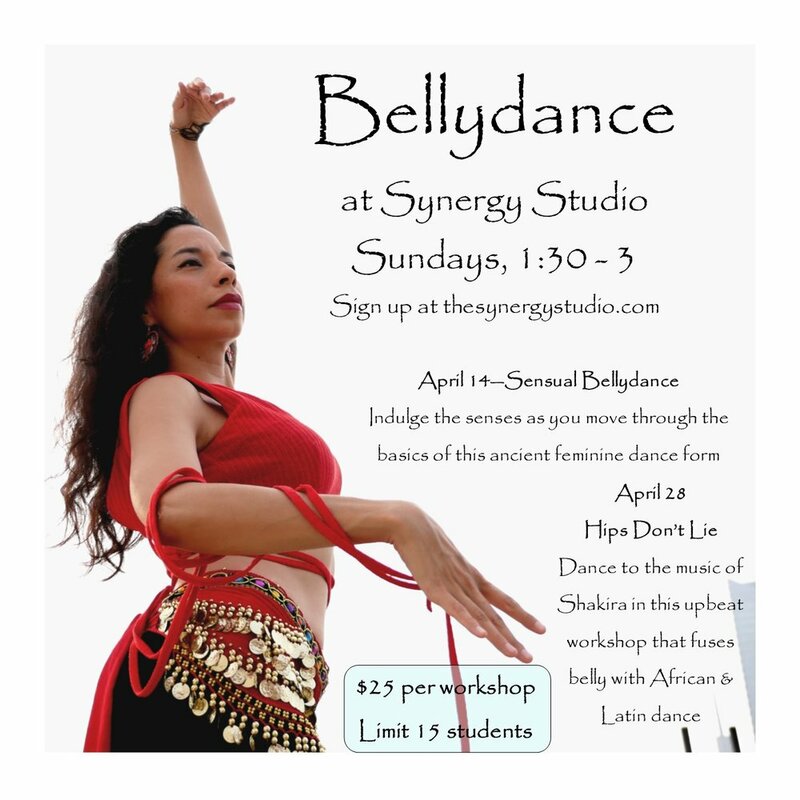 Dance to the music of Shakira in this upbeat workshop that fuses belly with African & Latin dance. *make sure you are signing up for the day you would like to attend... or both! © The Synergy Studio, 2006 - 2015. All rights reserved.